Welcome to the Home Page of Big Band Express based in Tucson, Arizona. Check back frequently for new performance dates, updates to our site, and information concerning jazz in Southern Arizona. 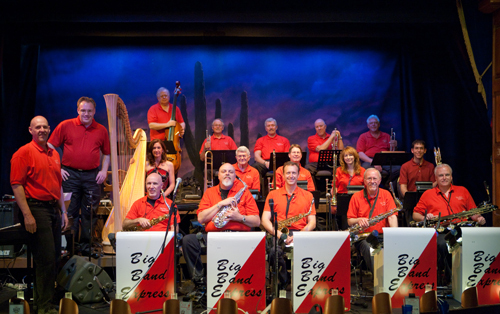 Big Band Express is available for parties, events, corporate entertainment. for further information and to book Big Band Express, contact Pete Swan. Fantastic concert tonight at the Gaslight. Way to go! We loved it. Great way to celebrate Charlie’s birthday. Thank you all.